From April 1 to 15: Team formation. We started the formation of our multidisciplinary iGEM team to make possible our project idea of a biotechnological company “Biopharma Technologies”; however, at the beginning, we were a team of only biotechnological and biomedical engineers. We started to fundraising for our Giant Jamboree trip, through snacks selling in our University and at some Congresses like the Biotechnology Engineering Congress. At the same time, all the team was working in the company vision and goals. 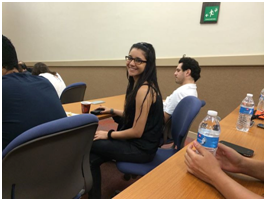 We attended this event organized by our University (ITESM) to speak with other biotechnology engineers about our project idea and to sell some snacks that would help us to fundraise our trip to Boston. May 14: Synthetic Biology’s Seminar. We created a Synthetic Biology's Seminary with our Technical Advisor PhD. María José Rivas to learn about the advances, techniques, definitions, and to choose and evaluate the first Biophrame Project, with which we would be participating on iGEM. 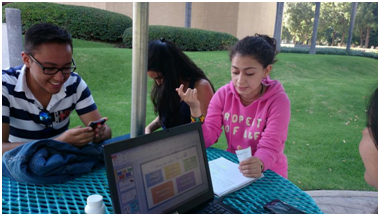 Our team met to propose ideas of possible iGEM first products/projects. 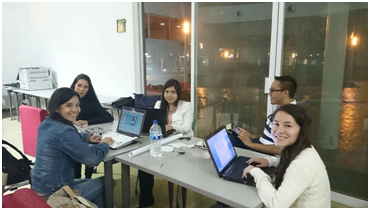 In this meeting we realized that we needed to search people from other disciplines, such as Finances and Administration, in order to make "Biophrame Technologies" an integrative team. 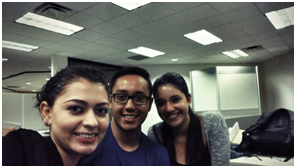 May 22 to May 30: Growing up the team! We were glad to integrate Carolina Salazar, Itzel Milanés, Sergio Nuñez and Jorge Parra to Biophrame's team, our experts in Finance, Administration, Image and Marketing. With our new team members and advisors, we chose the "Non Chemical Chitosan Production Process" as the first Biopharme's product, because it was short term achievable, financially attractive, ecological, technically simple and over all socially relevant. We started the division of task in order to develop the technical and financial dimensions of the project; so, at first we had only the financial and technical division divisions. 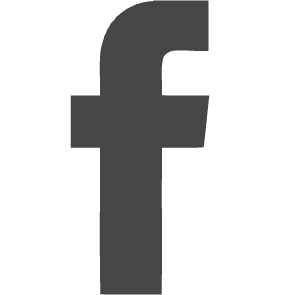 We visited this governmental organization to look for financial support, but there were no open founding options applying to our project. We investigate all the technical possibilities to produce Chitosan without the use of chemical substances and using as raw material wastes generated from other industries in Mexico. We chose the best biotechnological option and we started the detailed design of the process. We could not start the experimentation process in a parallel way to our investigations and technical advances because we didn't have our iGEM kit due to customs problems. We started the organization of our special BBQ. We organized this event in order to raise funds. We designed our pilot plant in two stages: 1) Experimental phase and 2) Final pilot plant. We researched the temperature, calculated the volumes needed in each bioreactor and calculated the approximate time the process will require in each phase of the process. At the same time, the financial and marketing division was developing all the relevant parts of the business plan. We went to this special event to talk about iGEM and to invite all the biotech students to be involved in our mission: the creation of a biotech company for biotech engineers, where they can CREATE processes. 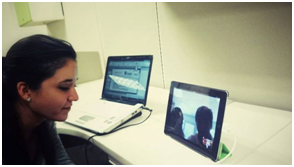 August 14: Skyping with other teams. 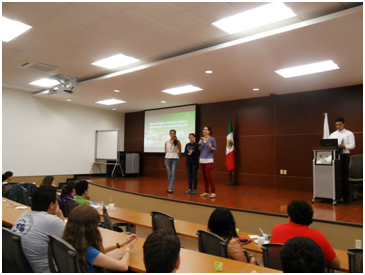 We wanted to know other teams and their projects; so, from this date on, we skyped with the teams: “Tec Monterrey”, “Zamorano” and “BIOSINT_Mexico”. 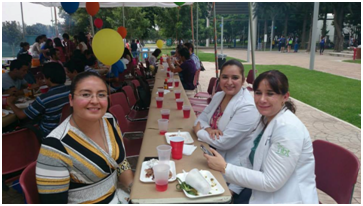 Members: Lizeth Sánchez, Rodolfo Valdés, Sofia Arreola, Lizette Reyes and Itzel Milanés Our BBQ was a total success: almost 150 people attended! August 22: Reto Zapopan application. 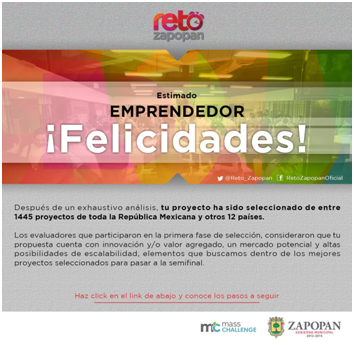 We filled the format to apply Reto Zapopan 2014, which is a governmental contest created by the city council of Zapopan to finance entrepreneurship projects. Members: Sofía Arreola, Rodolfo Valdés. 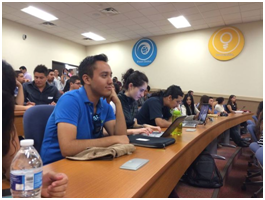 We attended the iTuesday event at ITESM, Campus Guadalajara. 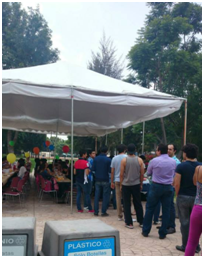 The iTuesday is nonprofit event organized to promote networking. In this event, entrepreneurs gave their rocket pitches to investors and public in general. We went to the “2014 Innovation Congress” to learn about the current innovation tendencies. We had a meeting with the Director of the Innovation Center for Economic Development at the Secretary of Innovation, Science and Technology, Rodrigo Padilla, to speak about our idea and the patent process from our first Biophrame's project. Rodrigo Padilla was very interested that he introduced us to Larisa Cruz (Director of Intelectual and Industrial Property Department at theSecretary of Innovation, Science and Technology). She helped us start our patent process. September 14 to September 26: Interviews with potential clients. Members: Jorge Armando Parra, Itzel Milanés. 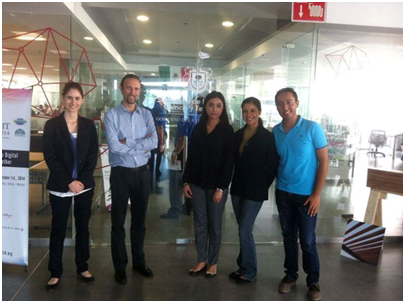 We interviewed some of our potential clients to get an idea about the Chitosan market in Guadalajara. As well, we presented them our business idea. Some of them signed up a future buying intention letter for our product. September 17: Start patent process! We went to the Mexican Institute for Intellectual Property (IMPI) to start our patent process and submit our technology research. 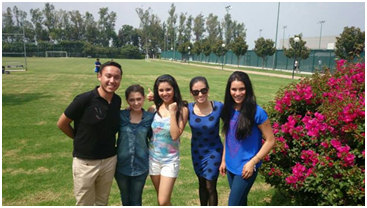 October 2: Biophrame got at the semifinals of Reto Zapopan! 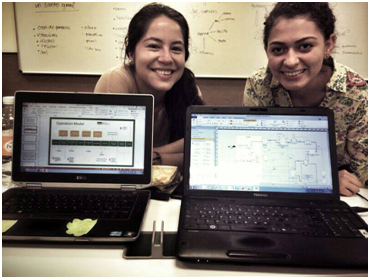 We were announced that Biophrame got at the semifinals at the “Reto Zapopan 2014” entrepreneurship contest. The award at this contest is around $150,000 USD.